Two FBI agents, James Sibert and Francis O’Neill, attended the autopsy of President Kennedy. Their report is presented below, along with a memorandum in which they confirmed several of their observations. and it helped to generate an influential, though highly implausible, conspiracy theory involving the surgical alteration of President Kennedy’s body. The bullet wound “was below the shoulders and two inches to the right of the middle line of the spinal column,” a location consistent with the bullet holes in the president’s shirt and jacket but too low to be consistent with the single–bullet theory. “This opening was probed by Dr. HUMES with the finger, at which time it was determined that the trajectory of the missile entering at this point had entered at a downward position of 45 to 60 degrees.” A bullet entering at a downward angle could not have come out through the throat, as the single–bullet theory demanded. “Further probing determined that the distance travelled by this missile was a short distance inasmuch as the end of the opening could be felt with the finger.” It became known several years later that the pathologists had been forbidden, presumably by one or more of their military superiors, to dissect the back and throat wounds (see Clay Shaw Trial Transcript , pp.115–8). Such dissection would almost certainly have confirmed or denied the possibility that a single bullet had passed through President Kennedy’s body and had caused both wounds. The chief pathologist, Dr James Humes, was told by the FBI agents during the autopsy that an intact bullet had been discovered on a stretcher at Parkland Hospital. Humes concluded that this bullet must have worked its way out of President Kennedy’s back during his treatment. The presence of dozens of tiny bullet fragments in the president’s skull and brain indicated that the wound to his head had been caused by one or more soft–nosed bullets, and not by metal–jacketed bullets such as those associated with the shells that had been discovered on the sixth floor of the Texas School Book Depository. Sibert and O’Neill’s observations became the basis of the FBI’s report into the assassination, which remains the Bureau’s official verdict on the crime. It contradicts several important aspects of the final version of the autopsy report, which was rewritten after Oswald’s murder. In particular, the pathologists claim in their report that during the autopsy they had deduced a link between President Kennedy’s back and throat wounds. The agents make it clear in their memorandum that this was not the case. 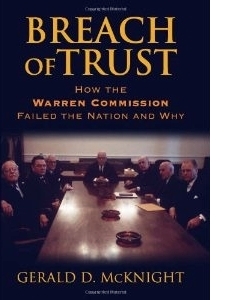 In common with other important documents that contradicted the Commission’s conclusions, such as the Parkland Hospital press conference transcript, the Sibert and O’Neill Report was deliberately ignored, and was neither quoted in the Warren Report nor published in the 26 volumes of Hearings and Exhibits . 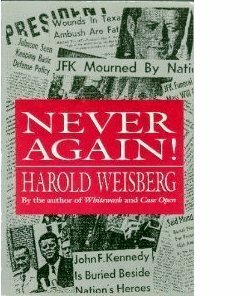 The document was placed in the National Archives, where it was discovered in 1966 by Harold Weisberg. Neither Sibert nor O’Neill was interviewed by the Warren Commission. Both agents gave interviews to the House Select Committee on Assassinations in the late 1970s and to the Assassination Records Review Board in the early 1990s, in which they again contradicted important elements of the lone–assassin argument. 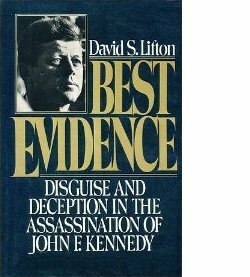 The Sibert and O’Neill Report’s use of the phrase “it was also apparent that a tracheotomy had been performed, as well as surgery of the head area, namely, in the top of the skull” led to the theory, elaborated by David Lifton in his book, Best Evidence , that President Kennedy’s body had been surgically altered before the autopsy in order to conceal evidence of shots from in front. For an alternative interpretation, see Roger Feinman, Between the Signal and the Noise , chapter 1. When the body was first observed on the autopsy table, it was thought by the doctors that surgery had possibly been performed in the head area and such was reflected in my notes made at the time. However, this was determined not to be correct following detailed inspection and when the piece of bone found in the limousine was brought to the autopsy room during the latter stages of the autopsy. Sibert and O’Neill dictated their report on Tuesday 26 November 1963, four days after the assassination. A summary of their observations was contained in a teletype to FBI headquarters a few hours after the autopsy: Assassination Records Review Board Medical Document 149. Their memorandum was written on 29 June 1966. This version of the Sibert and O’Neill Report was published by the Assassination Records Review Board as Medical Document 44. A scan in PNG format can be found at http://www.maryferrell.org/mffweb/archive/viewer/showDoc.do?absPageId=66857. A scan of the memorandum, ARRB Medical Document 157, can be found at http://www.maryferrell.org/mffweb/archive/viewer/showDoc.do?docId=688. At approximately 3 p.m. on November 22, 1963, following the President’s announced assassination, it was ascertained that Air Force One, the President’s jet, was returning from Love Field, Dallas, Texas, flying the body back to Andrews Air Force Base, Camp Springs, Maryland. SAs FRANCIS X. O’NEILL, JR. and JAMES W. SIBERT proceeded to Andrews Air Force Base to handle any matters which would fall within the jurisdiction of the Federal Bureau of Investigation, inasmuch as it was anticipated that a large group of both military and civilian personnel assigned to the Base would congregate at Base Operations to witness the landing of this flight. Lt. Col. ROBERT T. BEST, Director of Law Enforcement and Security, advised the President’s plane would arrive at 5:25 p.m. Subsequently, Col. BEST advised that the plane would arrive at 6:05 p.m.
At approximately 5:55 p.m. agents were advised through the Hyattsville Resident Agency that the Bureau had instructed that the agents accompany the body to the National Naval Medical Center, Bethesda, Maryland, to stay with the body and to obtain bullets reportedly in the President’s body. Immediately agents contacted Mr. JAMES ROWLEY, the Director of the U.S. Secret Service, identified themselves and made Mr. ROWLEY aware of our aforementioned instruction. Immediately following the plane’s landing, Mr. ROWLEY arranged seating for Bureau agents in the third car of the White House motorcade which followed that ambulance containing the President’s body to the Naval Medical Center, Bethesda, Maryland. On arrival at the Medical Center, the ambulance stopped in front of the main entrance, at which time Mrs. JACQUELINE KENNEDY and Attorney General ROBERT KENNEDY embarked from the ambulance and entered the building. The ambulance was thereafter driven around to the rear entrance where the President’s body was removed and taken into an autopsy room. Bureau agents assisted in the moving of the casket to the autopsy room. A tight security was immediately placed around the autopsy room by the Naval facility and the U.S. Secret Service. Bureau agents made contact with Mr. ROY KELLERMAN, the Assistant Secret Service Agent in Charge of the White House Detail, and advised him of the Bureau’s interest in this matter. He advised that he had already received instructions from Director ROWLEY as to the presence of Bureau agents. It will be noted that the aforementioned Bureau agents, Mr. ROY KELLERMAN, Mr. WILLIAM GREER and Mr. WILLIAM O’LEARY, Secret Service agents, were the only personnel other than medical personnel present during the autopsy. During the course of the autopsy, Lt. Col. P. FINCK, U.S. Army Armed Forces Institute of Pathology, arrived to assist Commander HUMES in the autopsy. In addition, Lt. Cmdr. GREGG CROSS and Captain DAVID OSBORNE, Chief of Surgery, entered the autopsy room. Major General WEHLE, Commanding Officer of U.S. Military District, Washington, D.C., entered the autopsy room to ascertain from the Secret Service arrangements concerning the transportation of the President’s body back to the White House. AMC CHESTER H. BOWERS, U.S. Navy, visited the autopsy room during the final stages of such to type receipts given by FBI and Secret Service for items obtained. Brigadier General GODFREY McHUGH, Air Force Military Aide to the President, was also present, as was Dr. GEORGE BAKEMAN, U.S. Navy. Arrangements were made for the performance of the autopsy by the U.S. Navy and Secret Service. The President’s body was removed from the casket in which it had been transported and was placed on the autopsy table, at which time the complete body was wrapped in a sheet and the head area contained an additional wrapping which was saturated with blood. Following the removal of the wrapping, it was ascertained that the President’s clothing had been removed and it was also apparent that a tracheotomy had been performed, as well as surgery of the head area, namely, in the top of the skull. All personnel with the exception of medical officers needed in the taking of photographs and X–Rays were requested to leave the autopsy room and remain in an adjacent room. Upon completion of X–Rays and photographs, the first incision was made at 8:15 p.m. X–Rays of the brain area which were developed and returned to the autopsy room disclosed a path of a missile which appeared to enter the back of the skull and the path of the disintegrated fragments could be observed along the right side of the skull. The largest section of this missile as portrayed by X–Ray appeared to be behind the right frontal sinus. The next largest fragment appeared to be at the rear of the skull at the juncture of the skull bone. The Chief Pathologist advised approximately 40 particles of disintegrated bullet and smudges indicated that the projectile had fragmentized while passing through the skull region. During the autopsy inspection of the area of the brain, two fragments of metal were removed by Dr. HUMES, namely, one fragment measuring 7 x 2 millimeters, which was removed from the right side of the brain. An additional fragment of metal measuring 1 x 3 millimeters was also removed from this area, both of which were placed in a glass jar containing a black metal top which were thereafter marked for identification and following the signing of a proper receipt were transported by Bureau agents to the FBI laboratory. This opening was probed by Dr. HUMES with the finger, at which time it was determined that the trajectory of the missile entering at this point had entered at a downward position of 45 to 60 degrees. Further probing determined that the distance travelled by this missile was a short distance inasmuch as the end of the opening could be felt with the finger. Inasmuch as no complete bullet of any size could be located in the brain area and likewise no bullet could be located in the back or any other area of the body as determined by total body X–Rays and inspection revealing there was no point of exit, the individuals performing the autopsy were at a loss to explain why they could find no bullets. A call was made by Bureau agents to the Firearms Section of the FBI Laboratory, at which time SA CHARLES L. KILLION advised that the Laboratory had received through Secret Service Agent RICHARD JOHNSON a bullet which had reportedly been found on a stretcher in the emergency room of Parkland Hospital, Dallas, Texas. This stretcher had also contained a stethescope [sic] and pair of rubber gloves. Agent JOHNSON had advised the Laboratory that it had not been ascertained whether or not this was the stretcher which had been used to transport the body of President Kennedy. Agent KILLION further described this bullet as pertaining to a 6.5 millimeter rifle which would be approximately a 25 calibre rifle and that this bullet consisted of a copper alloy full jacket. Immediately following receipt of this information, this was made available to Dr. HUMES who advised that in his opinion this accounted for no bullet being located which had entered the back region and that since external cardiac massage had been performed at Parkland Hospital, it was entirely possible that through such movement the bullet had worked its way back out of the point of entry and had fallen on the stretcher. Also during the latter stages of the autopsy, a piece of the skull measuring 10 x 6.5 centimeters was brought to Dr. HUMES who was instructed that this had been removed from the President’s skull. Immediately this section of skull was X–Rayed, at which time it was determined by Dr. HUMES that one corner of this section revealed minute metal particles and inspection of this same area disclosed a chipping of the top portion of this piece, both of which indicated that this had been the point of exit of the bullet entering the skull region. On the basis of the latter two developments, Dr. HUMES stated that the pattern was clear — that the one bullet had entered the President’s back and had worked its way out of the body during external cardiac massage and that a second high velocity bullet had entered the rear of the skull and had fragmentized prior to exit through the top of the skull. He further pointed out that X–Rays had disclosed numerous fractures in the cranial area which he attributed to the force generated by the impact of the bullet in its passage through the brain area. He attributed the death of the President to a gunshot wound in the head. Mr. KELLERMAN stated these items could be made available to the FBI upon request. The portion of the skull measuring 10 x 6.5 centimeters was maintained in the custody of Dr. HUMES who stated that it also could be made available for further examination. The two metal fragments removed from the brain area were hand carried by SAs SIBERT and O’NEILL to the FBI Laboratory immediately following the autopsy and were turned over the SA KURT FRAZIER. The following information is being submitted to the file as a matter of record. During of [sic] 5/30/66–6/3/66 Bureau supervisor KENNETH RAUPACH, telephonically contacted SA JAMES SIBERT at the Hyattsville Resident Agency advising that a “Special” was being conducted at the Bureau in connection with an article which appeared in the newspapers relating to events that took place during the autopsy on 11/22/63 at the Navy Medical Training Center, Bethesda, Maryland. Mr. RAUPACH asked if any member of the KENNEDY family had appeared in the autopsy room during the time that the autopsy was in progress making a request that the findings of such autopsy be kept confidential. 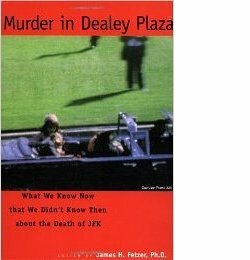 He was advised that at no time during the autopsy did either ROBERT F. KENNEDY or the President’s wife appear at the autopsy room and that it was understood that these two individuals were in the tower at the Medical Center. RAUPACH was advised that one of the Senior Medical Officers had made the statement prior to the termination of the autopsy that “what had gone on in this room tonight should remain confidential and should not be discussed outside of that room”. RAUPACH also questioned as to whether or not the measurements as set forth in FD 302s submitted by SAs SIBERT and O’NEILL had actually been measurements furnished by the Pathologist or had been represented conclusions [sic] reached by the Agents. He was informed that all figures set forth in such FD 302 had been obtained from the Pathologist performing the autopsy. Later in the week a telephone call was received from the Bureau supervisor FLETCHER THOMPSON, who advised that he had additional questions pertaining to captioned matter and stated that he desired to know whether or not at least one agent was present in the autopsy room during the time that the autopsy was in progress and until it was completed. He was advised that such was the case and that if one agent was out of the room it was understood and followed that the other agent was present at all times and that at no time were both agents out of this room from the time that the autopsy began until it was terminated. Mr. THOMPSON also asked if the Pathologist conducting the autopsy had made any mention of a bullet passing out of the neck at the point that the tracheotomy had been preformed [sic] at Parkland Hospital, at Dallas, Texas. He was advised that no such statement was made and that in fact the Pathologist was quite concerned concerning injury in the back and could not find a point of exit for this bullet neither could he find the projectile. Mr. THOMPSON was further advised that at that time Agent SIBERT had telephonically contacted SA CHARLES L. KILLIAN in the Firearms Section at the Bureau at which time it had been ascertained that a bullet had been found on a stretcher in the Parkland Hospital and this information was relayed to the Pathologist conducting the autopsy who stated that in all probability this accounted for no bullet being found in the body in the back region and that such had probably been worked out by cardiac massage which had been performed when the President was on a stretcher at Parkland Hospital. Mr. THOMPSON again asked if any member of the KENNEDY family had requested that the results of the autopsy be maintained confidential and was informed that no mention had been made by any members of the Military or other personnel attending the autopsy, that the KENNEDY family had requested that the results of the autopsy be held in confidence, however one of the Senior Members had stated that and cautioned individuals in attendance at the autopsy that this matter should not be discussed after leaving this room. On June 10, 1966 ASAC JOHN J. McDERMOTT of the WFO telephonically contacted SA O’NEILL and advised that he had been requested by JAMES MALLOY, Number One Man of Division 6, to contact either SA O’NEILL or SA SIBERT and acertain whether or not any member of the KENNEDY Official Party, who were at the Bethesda Naval Hospital on November 22, 1963, had requested that the results of the autopsy performed on the body of the President be maintained secret. Mr. McDERMOTT was advised that no member of the official KENNEDY party entered the autopsy room nor did any member of the official party request that the findings of the autopsy be maintained secret. He was advised that the Admiral in charge of the hospital at the conclusion of the autopsy requested all members who had attended the autopsy to keep the findings of the autopsy confidential. ASAC McDERMOTT further inquired whether at any time both SA SIBERT or SA O’NEILL were out of the autopsy room. He was advised that at no time did SAs SIBERT and O’NEILL leave the autopsy room together. At all times during the course of the autopsy one of the agents was present. ASAC McDERMOTT also asked whether the information contained in the FD 302s submitted by SAs SIBERT and O’NEILL concerning the autopsy were the conclusions of the Agents and all was actual information obtained from the Pathologist who are [sic] in attendance at the autopsy. Mr. McDERMOTT was advised that the agents submitted no conclusions of their own and that all information furnished in the FD 302 was obtained from the Pathologists who were in attendance at the autopsy. Mr. McDERMOTT further was advised that the agents assisted in carrying in the Presidential casket into the autopsy room and were present in attendance at all times until the autopsy was complete and the morticians were preparing the body for burial. HTML elements have been incorporated to make this version accessible both to human readers and search engines. Headings have been added for clarity. The text is unchanged. The commanding officer at Bethesda was Admiral C.B. Galloway, not Holloway. President Kennedy’s personal doctor was Admiral Burkley, not Berkley. The radiologist was John H. Ebersole, not James. The assistant pathologist was J.T. Boswell, not Bozwell. The X–ray technician was Jerrol F. Custer, not Crester. The Secret Service agent who had taken custody of a bullet at Parkland Hospital was Richard Johnsen with an ‘e’, not Johnson with an ‘o’. FD 302 is the FBI’s term for a standard report form, such as that used by Sibert and O’Neill. SA, or Special Agent, is the term for any FBI agent. Agent in Charge is the senior FBI official in a local office.